After 5 days, the results are in. 5 Bronze Medals and 3 for individual events and 2 Relay Medals. This is an absolutely fantastic result. Well done to everyone. I would like to take this opportunity to thank Aisling Mc Keever for her brilliant work at keep us up to date at the end of each day of how everyone did with her reports. I think she has a lunch date with the Queen today to wind down. Well done to everyone who competed on day 4 of the European Masters. Again another outstanding effort from the emerald isle. 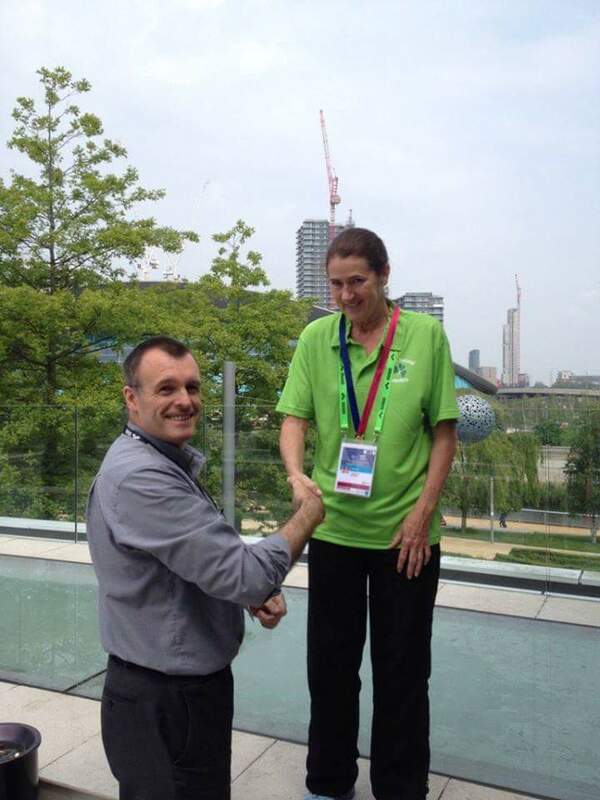 Pictured above is Liz Cosgrove being presented with GOLD for her 50 backstroke. Well done Liz! 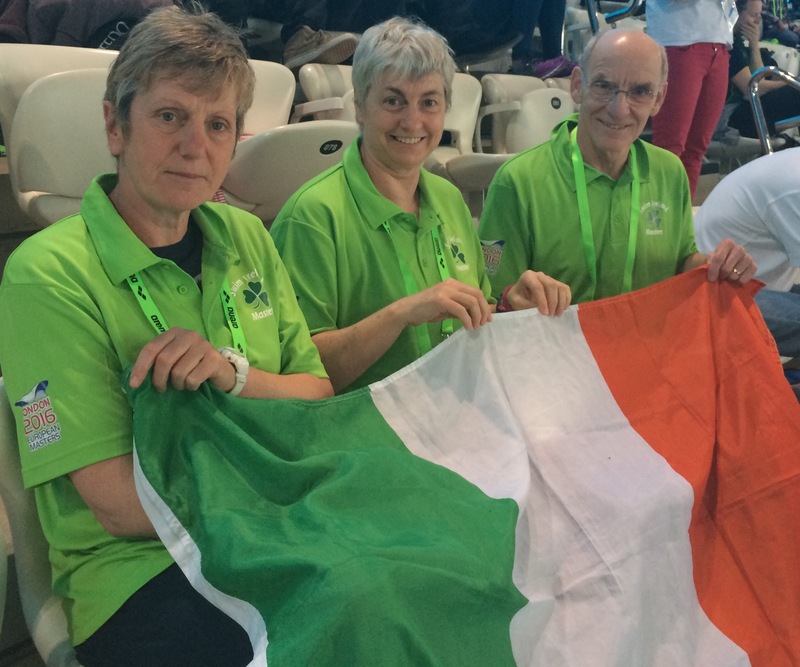 Another outstanding display of Irish swimming at its best. Well done to all involved. Aisling’s report of day 2 is here! Aisling McKeever is busy keeping an eye on overdoes brilliant performances. Here’s her overview on how well Ireland did yesterday. More to come today. Pictured above are 800m freestyle medal winners Norma, Dymphna and Rob! Well done guys! So it’s finally here! The European Masters have gotten off to a swimmingly good start! 4 events rum. 4 medals (3 silver and 1 bronze) won. Well done to Dymphna Morris and Normal Cahill who both won silver in their age groups in the 800m freestyle. Robby Genest also won silver I’m the 800m freestyle. Kieran Kelleher picked up bronze I’m the 200m IM. 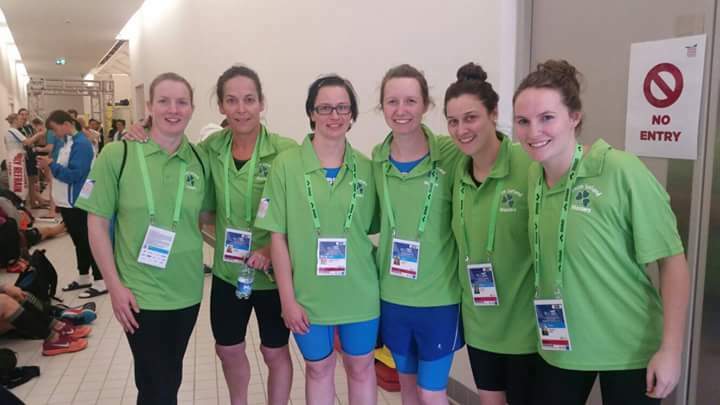 Well done everyone on representing Ireland on day 1! Results of events can be found on this link here. With it fast approaching and the wind down starting IMS just want to wish all the Irish competitors taking part in London over the next few days, the very very best of luck!! Only two weeks to the European Masters!!!!! 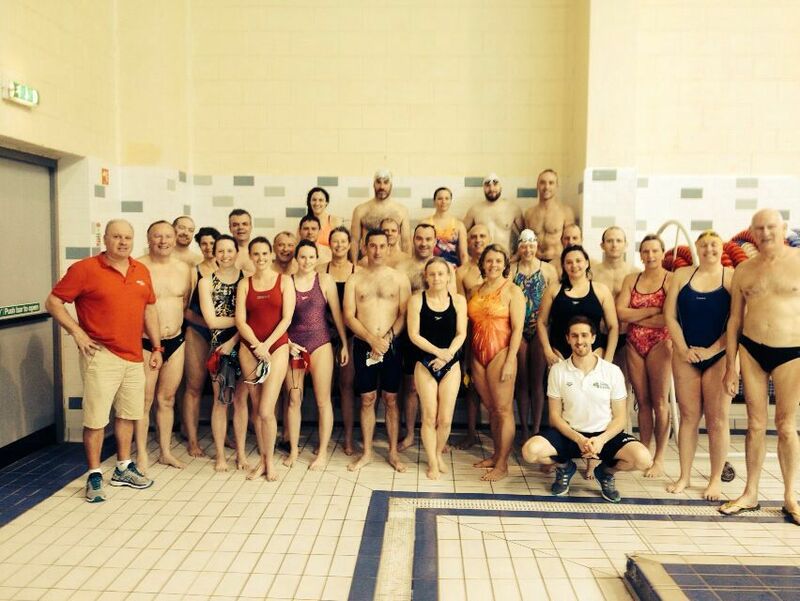 A fantastic point to note but This will be the largest group of Irish Masters swimming at any major meet. If you are going you will already have seen the following but if not you might like to see what you are missing. 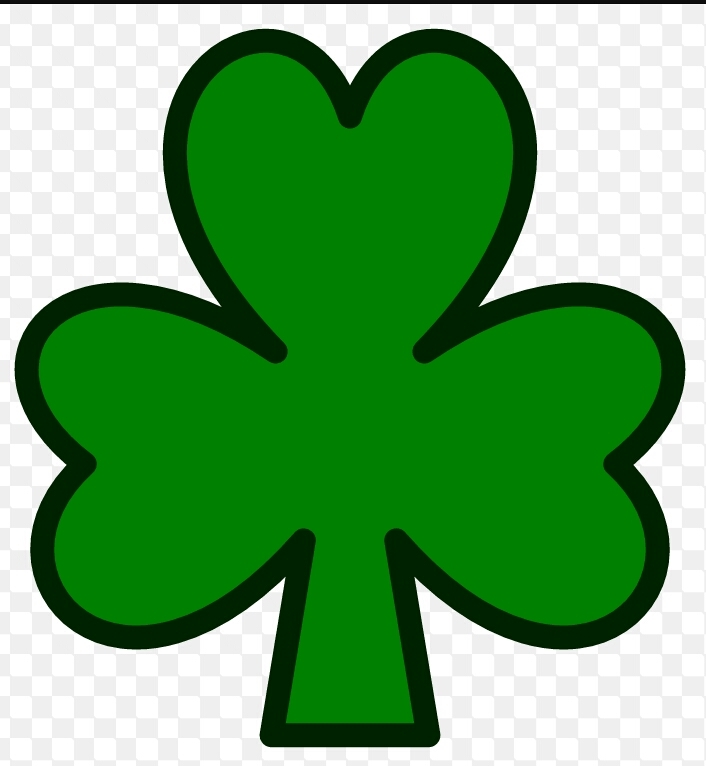 Best of luck to all of ye in green! May the luck of the Irish be with you!!! Pictured above are the wonderful participants heading over to compete with Lars down in UL a few weeks at a training camp. A great day was had with Lars. Thank you to him and well done to those who took part. Well dome to all who competed on Saturday in the Masters Relay. According to sources (Jeff). There was a great crowd at thw evwnt. A special mention to those who competed in the fun relay where some had the pleasure of swimming on the winning relay with Mr Andrew Bree (Jeff). Results can be found Here. 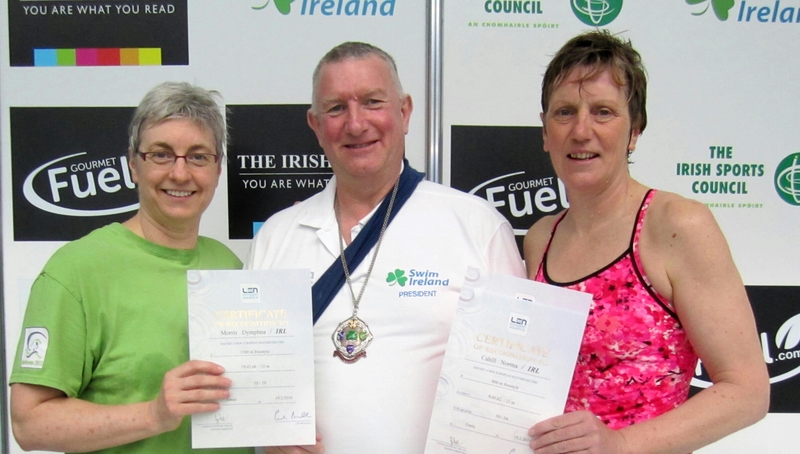 Also congrats to Dymphna Morris (pictured above left at the Masters Relay) and Norma Cahill (far right) who received their European Records from the President of Swim Ireland Michael Angus (centre). Norma broke the 400 and 800m fc record under 50 and Dymphna broke the 1500m fc record under 55. Thanks to Jim Stit for the picture.